I hope your personal "offering bearers" brought you everything you wanted for Christmas. This wide-eyed servant girl came from the Old Kingdom tomb of Hepikem at Meir. 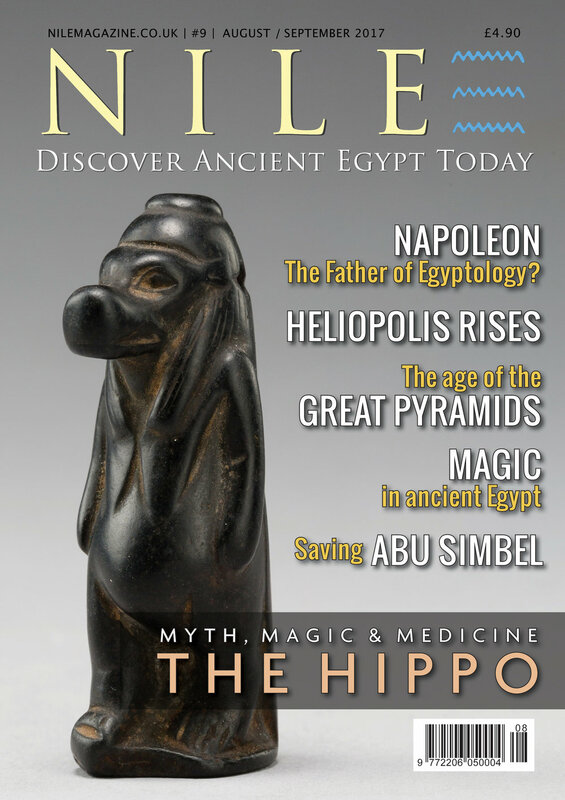 A Christmas message from Jeff Burzacott, editor of Nile Magazine. Ah, now we finally know who built the pyramids! Grab your "Build Your Own Great Pyramid" kit in time for Christmas! Karnak's pylons form a giant "akhet" sign, representing the rising sun bursting above two mountain peaks. Ahmose-Nefertari was revered for hundreds of years. Amazing photography from "The Legend of Tutankhamun" by Zahi Hawass and Sandro Vannini. The dead were never more vulnerable than in the 21st Dynasty. Researchers mapping the Great Pyramid with cosmic particles recently dropped a bombshell: a hidden "void" behind the stones. The first pyramids to be built in over 800 years.